From Beast Kingdom. A PREVIEWS Exclusive! An unprecedented cinematic journey ten years in the making and spanning the entire Marvel Cinematic Universe, Marvel's Avengers: Infinity War brings to the screen the ultimate, deadliest showdown of all time. Beast Kingdom has paired up with Marvel and Diamond Comics to offer fans a line of figures inspired by the new film! 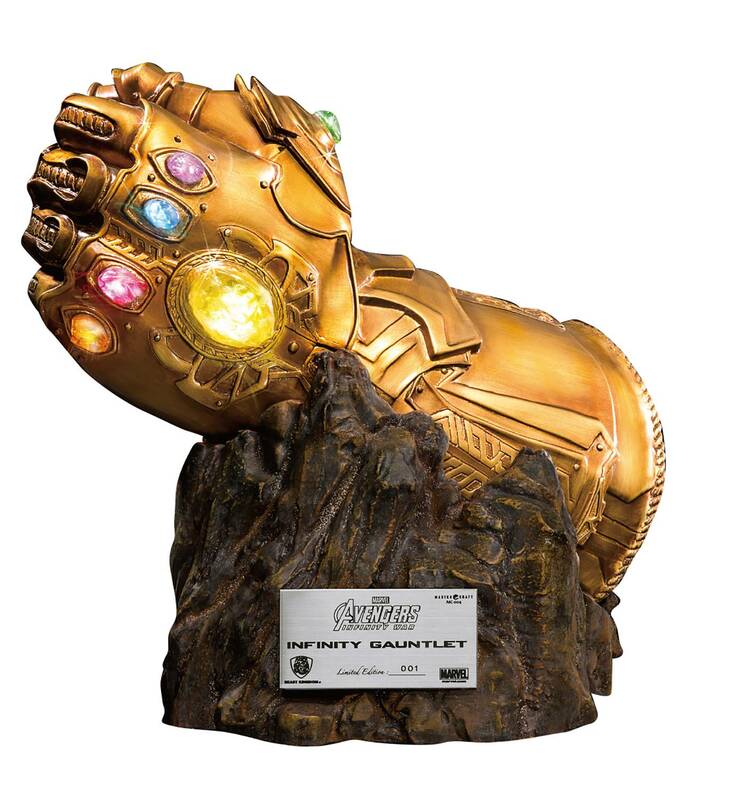 This stunning Infinity Gauntlet replica features extremely detailed sculpt and paint work and features metallic details as well as transparent parts for the gems for an authentic appearance. 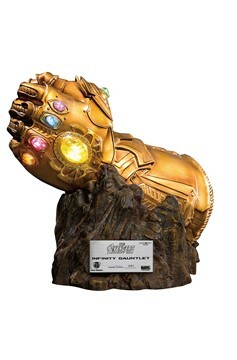 The Gauntlet includes a sculpted base to make this the perfect centerpiece for any Avengers collection!.